Want to be notified of new releases in lsrichert/Capstone-MixIt? 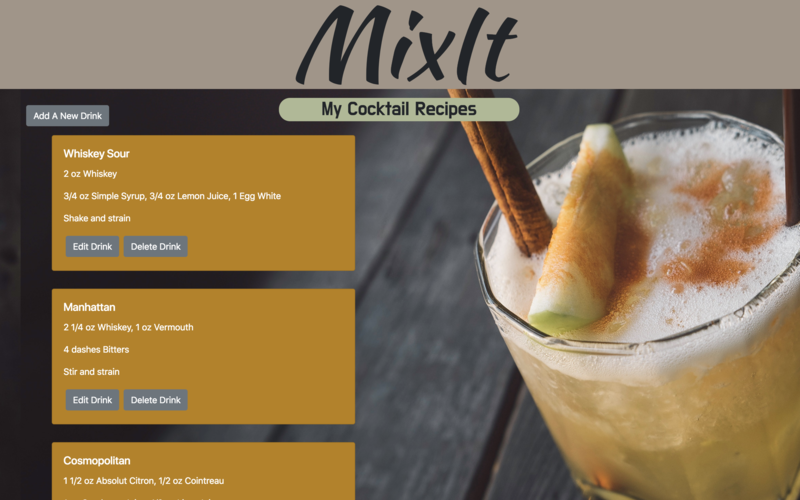 MixIt is an app that enables the home bartender to save and edit cocktail recipes. 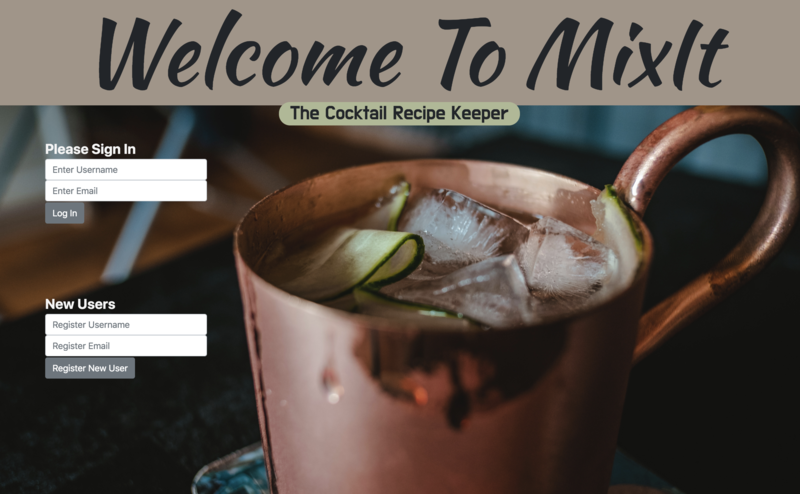 A user can register a username and login to begin adding recipes. 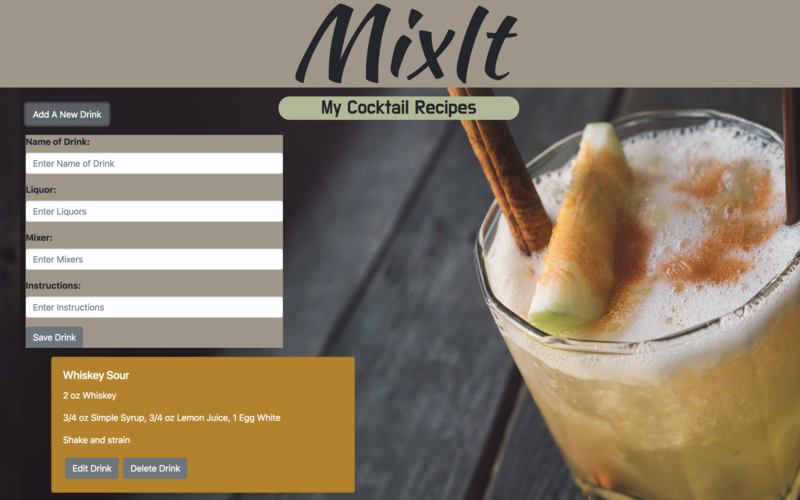 From there, the user can edit and delete recipes. This was my front-end capstone during my six month program at Nashville Software School.